Edgewater Cottage Kesh, is a modern but charming holiday home located on the shore of Lower Lough Erne approximately 2 miles from the village of Kesh. The cottage offers high quality accommodation in an idyllic Lough shore setting with great views over the lough. Internet access is available at no extra charge. Kesh village is 25 miles from Rossnowlagh fabulous sandy beach, Donegal town and 18 miles from Enniskillen town. En-suite bathroom to bedroom 1 with large shower, WC and wash basin. Separate main bathroom with bath, WC and wash basin. Notes on accommodation: Free wifi available No pets allowed Outside: Private car parking to rear of cottage. Patio table and chairs, sun loungers, BBQ, garden and private marina. Utility Room: Sink, washer dryer, ironing board and iron. Cleaning / Towels / Linen: All bed linen provided and towels. 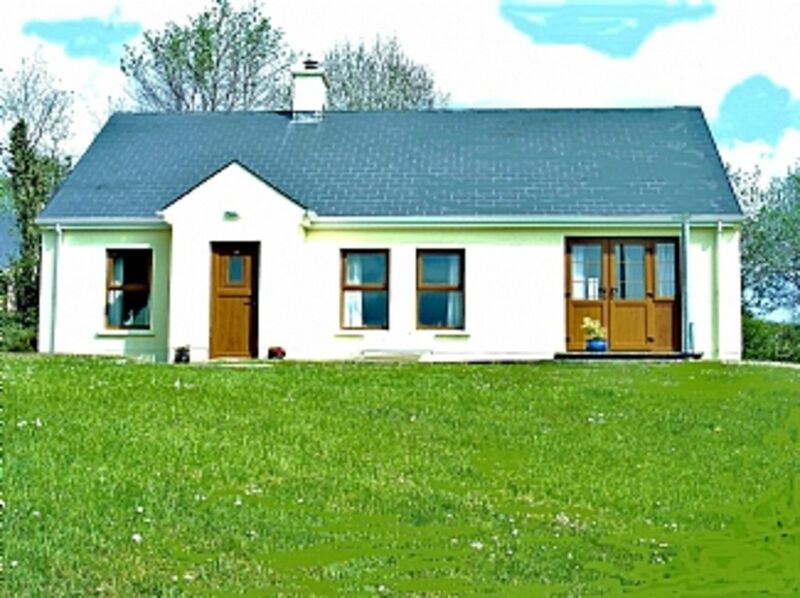 A very clean and well equipped cottage in a quiet group of similar cottages overlooking the Lough Erne. It is well situated to explore the Enniskillen area of Northern Ireland. We would be happy to stay again in the future. Loved our stay. Cottage well equipped with everything we needed. Even provided a travel cot for our 6 month old. The place was spotless when we arrived, everything maintained to a high standard. We had a great first family holiday. Very peaceful and relaxing. Very close to local amenities. Highly recommended. An ideal base for getting around Tyrone, Fermanagh, & Donegal. A very well appointed and comfortable cottage in a most attractive location. The owners were most supportive. Well equipped, comfortable and in a lovely area. We really enjoyed our stay in Kesh and had everything we needed in the property for a great week. Rossnowlagh beach is on the west coast of Ireland in Co Donegal, it is a fabulous beach for all the family and is approximately 20 miles away. Donegal town is 25 miles away and well worth a day trip. Kesh village is 90 mles from Belfast City. Edgwater Cottage is approx 2 miles from Kesh village. Enniskillen 15 miles. Donegal town 25 miles. Beleek 15 miles. In the local area are great restaurants, horse riding, fishing, water sports, golf and tennis. Water sports Canoe hire, water skiing tuition available locally. • There are numerous good restaurants locally.